There are numerous reasons why car accidents in Boston occur. There are over 6 million accidents each year in the US with nearly half due to impaired driving. Around one-third of accidents are caused by driver negligence, such as speeding, falling asleep, distracted driving, recklessness, or inexperience. If you suffered an injury from any of these causes, contact a car accident lawyer regarding compensation from the responsible party. Accidents as the result of mechanical failure, which can be from normal wear and tear or inadequate service or vehicle maintenance, comprise about 13% of all car accidents. Although accidents can occur from a blowout after running over a sharp object, defective tires can also be the culprit. Tread separation, cracking or bulging are all signs of a manufacturing defect as are leaks and belt failures. Brake failure is a factor in numerous accidents with legal issues having arisen lately over antilock braking systems failing to work. Other issues concern brake pads that heat up and fade and brake fluids with too low of a boiling point. Steering defects can cause loss of control of a vehicle. This may happen from a steering ball joint that fails and having the front end fall onto the front tires, or an improperly assembled steering wheel that can detach from the column. 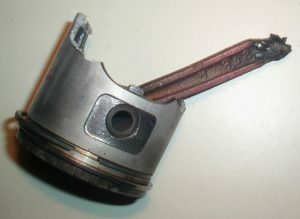 Other defects include a snapped steering relay rod that allows a tire to move on its own. 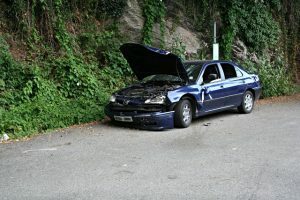 An auto manufacturing or design defect that causes a mechanical failure might be the basis for a product liability claim if it leads to injuries, but manufacturers and their insurers may claim driver negligence as well, especially if the problem was evident and the driver failed to have the car inspected before the accident. An injured driver who ignored a product recall might also have difficulty recovering compensation. Massachusetts has a modified comparative liability law whereby you must prove that another party was at least 51% at fault for your accident or you recover no compensation. If a manufacturer or service mechanic claims that you contributed to the accident by your failure to heed signs of mechanical issues or from misuse or improper maintenance, consult with a Boston accident lawyer to discuss your legal options. Otherwise, proving a product part was defective and was a major factor in your accident and resultant injuries requires an experienced and resourceful car accident lawyer. This can be brought under the Magnuson-Moss Warranty Act or breach of implied or express warranties of fitness and merchantability. A manufacturer or service mechanic has a duty of care to the consumer or car owner in producing a safe product or in servicing a vehicle. You may need expert testimony as to the standard of care for each. If your attorney can demonstrate that a product that failed was unreasonably dangerous, the designer or manufacturer can be held strictly liable. If a showing can be made, you need only prove your damages. Accident injuries from a vehicle where the motorist loses control as a result of a mechanical failure can be devastating if not fatal in some instances. Injuries range from spinal strains to vertebral fractures, head and brain injuries, broken limbs, burns, disfigurement and emotional trauma. Pain and suffering is usually the largest component of an injury accident claim and is dependent on the nature and extent of your injuries, how these injuries have impacted your life, and how well your attorney presents your case. Contact Burns & Jain a law firm well versed in mechanical failure accidents that lead to devastating injuries or fatalities. They will examine the issues in your case and advise you regarding liability issues, medical claims and your damages. Consult Burns & Jain today for a free, confidential assessment of your injury case. Call 617-227-7423 today!